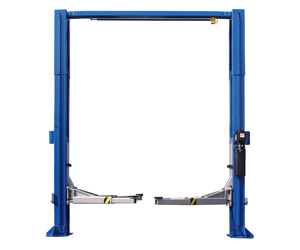 Is your mechanic shop replacing a current car lift, or perhaps investing in some? If that’s the case, you have come to the perfect place. Our selection of iDeal Lift car lifts includes many reliable options that would perform extremely well in your shop. Our choices are known for being affordable, easy to use, and improving production levels! Check out our In-Depth Lift Comparison and Car Lift Safety Features articles. Our selection features many styles, that way you can find the best one to meet your needs. Whether you work on smaller vehicles, or heavy duty ones that require a special type of lift, we’ve got you covered. It’s important that every employee feels comfortable working under any car lift. We continue to stress that ours are made from the finest materials that provide a strong, reliable hold, that will perform for many years. You will be able to lift any type of vehicle and position it the way you need to get any type of task done. Whether it’s as simple as an oil change, or something more complex, you can trust iDeal Lift car lifts to get the job done. Our selection offers symmetric and asymmetric options, which are both very popular in mechanic shops today. We have a column system which is perfect for heavier trucks and vehicles that need a little more support than a traditional style. Our choices feature strong, sturdy adapters, a dual cylinder, a two point lock release, and a durable powder coat finish. The combination of these and the innovation that was put into the lift provides less wear and tear on the vehicle, and less energy exerted from you and your employees. You will be amazed how easy it will be to get some complex tasks done, compared to your previous methods. We highly recommend that you browse all of our iDeal Lift car lifts before purchasing. We want to make sure you invest in the perfect one based on your needs. If you ever need help or a recommendation, our team is always happy to help. Contact us and let’s get started today!